We are proud to support our Charity Partners! For the seventh consecutive year, the 30A 10K Thanksgiving Day Race team has designated four local charities which will share the proceeds from this year’s race. The local organizations selected include Sandcastle Kids, the Seaside Repertory Theater, the Walton County Cultural Arts Alliance, and the Choctawhatchee Basin Alliance. 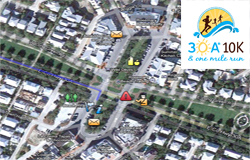 The decision on what charities would be selected was based on various factors, but the 30A10K team agrees that the most important is that the funds are allocated to a group that benefits the local community. Past charities have included the South Walton Fire District, Food for Thought, Shelter House, Emerald Coast Children’s Advocacy Center, and Anchorage Children’s home. To date, this event has been responsible for raising more than $250,000 for local non-profit organizations. The Choctawhatchee Basin Alliance – Choctawhatchee Basin Alliance is a non-profit organization responsible for sustaining healthy local waterways through monitoring, education, restoration, and research. For 20 years, CBA has promoted water stewardship within the Choctawhatchee watershed, growing the network of supporters who join in CBA’s mission to provide a future for these precious, natural resources. The Walton County Cultural Arts Alliance – The CAA is a local agency that supports the arts through leadership, education, advocacy, and funding. The vision of the CAA is to be a catalyst for Walton County’s growth as a destination for cultural and artistic excellence through which lives are enriched, economy is stimulated and community is strengthen. Sandcastle Kids – Sandcastle Kids, Inc. is a 501(c)(3) not for profit organization, provides children who have endured a challenging battle with cancer a week vacation with their families on the beautiful beaches of Destin and South Walton, Florida. 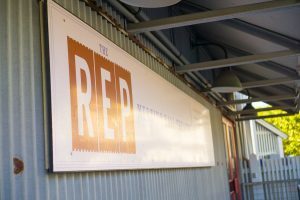 The Repertory Theater (The REP) – The REP is based in Seaside, Florida and committed to a long-range vision of building itself into a world-class regional theatre company, and an immediate mission of providing high-quality professional theater to audiences of all ages. The REP seeks to be the premier arts organization in Northwest Florida, providing programs and productions that make an essential and lasting contribution to the quality of life in our area.